As many as 22 Al Jazeera employees have quit since the overthrow of Mohammad Mursi, amid concern over the channel’s alleged bias towards the Muslim Brotherhood and its coverage of Egypt. Criticism over the channel’s editorial line, the way it covered events in Egypt, and allegations that journalists were instructed to favor the Brotherhood are said to be the main reasons behind the mass resignations. As many as 22 Al Jazeera staff resigned on Monday, Gulf News reported, but other media said only seven had left the broadcaster. Al Jazeera correspondent Haggag Salama resigned accusing the station of “airing lies and misleading viewers”, Gulf News reported. The newspaper also said that four Egyptian members of editorial staff at the network’s headquarters in Doha had resigned in protest. Al Jazeera anchor Karem Mahmoud said he left because of the channel’s editorial line over recent events in Egypt. Mahmoud told Gulf News he left because of Al Jazeera’s “biased coverage”, but said that some local Egyptian stations were worse. Al Jazeera today confirmed some staff had left its Al Jazeera Mubasher Misr operation, including some it said had “partisan political opinions”. 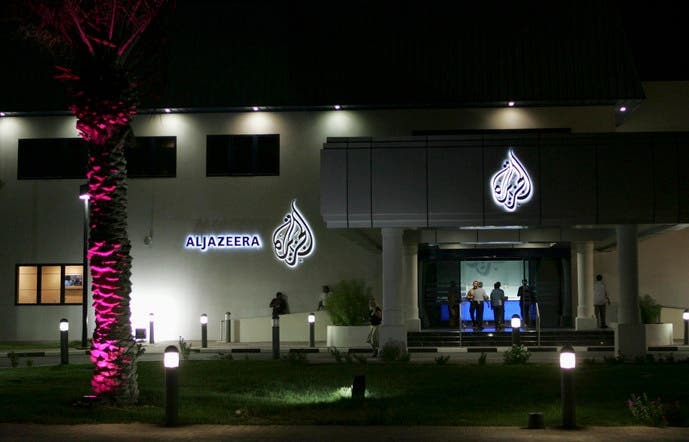 “Following the recent squeeze on media in Egypt, some Al Jazeera Mubasher Misr staff have decided to leave. We understand the reasons for some employees feeling they need to move on, including those with partisan political opinions,” the broadcaster said in a statement on its press website. Some commentators have criticized Al Jazeera as favoring the Muslim Brotherhood in its coverage of events in Egypt. Author and journalist Abdel Latif el-Menawy, who was head of the Egypt News Center under ex-president Hosni Mubarak, said that Al Jazeera was a “propaganda channel” for the Muslim Brotherhood. El-Menawy said he “saluted” those journalists who left the channel. Al Jazeera fiercely denies allegations of bias in its coverage, saying that their journalists in Cairo had suffered from “intimidation” after Mursi was ousted. Hours after the overthrow of Mursi by the Egyptian army, security forces raided the Cairo offices of Al Jazeera’s Egyptian TV channel. The broadcaster says “dozens” of its journalists have been detained by authorities.